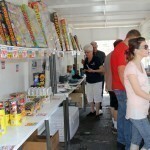 Camp Fire Heart of CA Fireworks Booth Success! 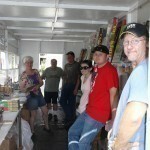 Thanks to all who came out to support the Camp Fire Heart of CA fundraiser at the fireworks booth this year! We made our budgeted fundraising goal and had a great time connecting with the community. The funds we raised will go directly to the non-profit services of Camp Fire Heart, which offers youth and family services for Madera and Central CA residents. 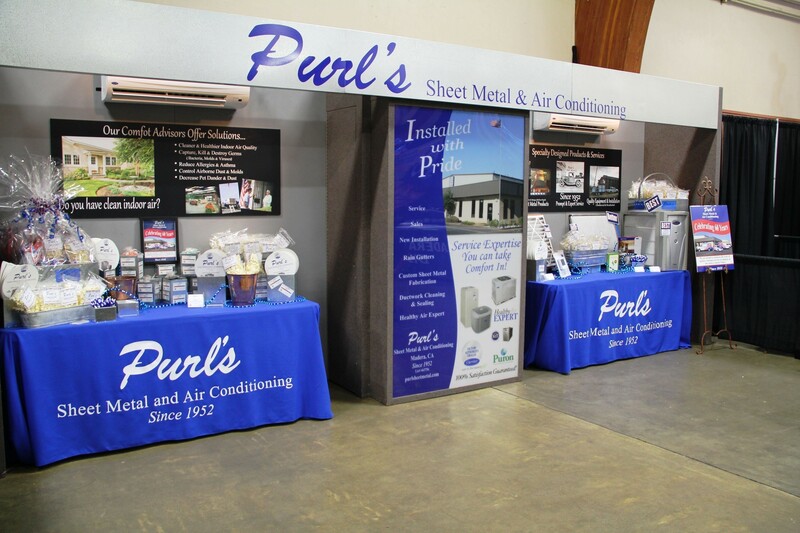 Purl’s Sheet Metal & Air Conditioning is an active sponsor of the organization and hopes that others will be inspired to get involved as well. We hope everyone had a safe and fun 4th of July! 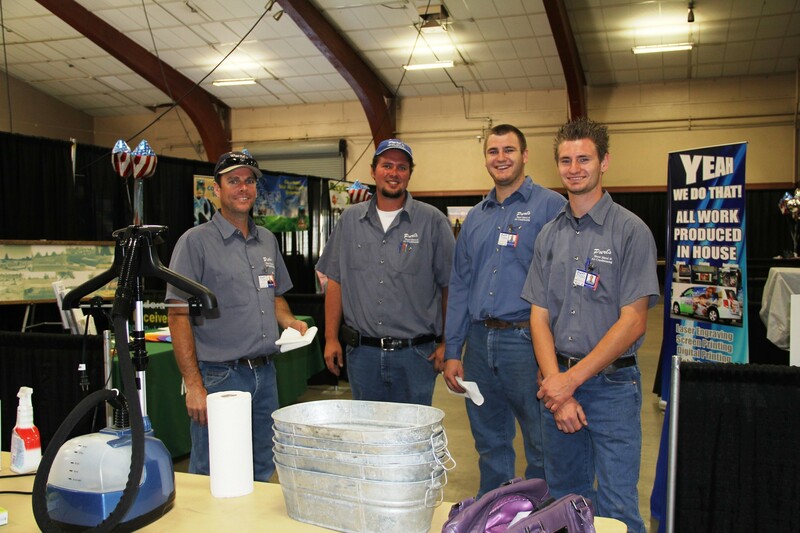 Check out a few of the photos of our crew working the booth below. Posted in Community Involvement | Comments Off on Camp Fire Heart of CA Fireworks Booth Success! This summer you’re going to be running your air conditioning system a lot to stay comfortable in the heat. This increased use can result in you requiring more repair for your AC system. If your AC is in need of repairs make sure that you call the Fresno air conditioning repair technicians at Purl’s Sheet Metal & Air Conditioning. There are a few common issues that can arise and we wanted to put together a quick explanation of how you can know when you need repair and when it’s time to replace it. If you’re having any of the following issues with your air conditioning system make sure that you call for repair immediately. Not enough cooling – If your air conditioning system is blowing warm air or if it isn’t producing enough cooling, it likely means that your home is uncomfortable and that you need repair. It could be that the coils in your air conditioner are dirty, that you have low refrigerant, that the filter is clogged or the compressor is leaking. Strange noises – If you start to hear any new noises from your air conditioner or if it starts to operate at a higher volume it usually means that something is wrong. Squealing can indicate that your fan motor belt is old and needs replacing. Hissing often means that you have a refrigerant leak somewhere. Gurgling can signify that you have low refrigerant. Fresno Air Conditioning Repair Tip: When Should You Replace Your AC? But when should you replace your air conditioning system as opposed to repairing it. Here’s a general guide for homeowners to use when they start to have issues with their air conditioner. Age – Consider the age of your air conditioning system when it starts to break down. If your AC is old and it needs to be fixed, it could make a lot of financial sense to replace your system instead of paying to repair it. Frequent repair – When you start to notice that your air conditioning system is requiring more frequent repair it could mean that it is on its way out and needs replacement. If you need air conditioning system repaired or replaced, call the Fresno air conditioning specialists at Purl’s Sheet Metal & Air Conditioning. Are you looking for a way to improve your cooling performance while also minimizing repair needs? With professional installation, you can make sure that your air conditioning performs properly and efficiently for years to come, but only when paired with the appropriate maintenance. Your air conditioner is comprised of various components, including a compressor, condenser, evaporator, expansion valve, and the blower motor, not to mention the lineset, weatherized housings, and electrical parts, among others. All of these parts have a role to play, and they all must cooperate in order to produce the cool air that you enjoy on a daily basis. But there comes a time when repairs are necessary and inevitable. Call the Fresno air conditioning repair technicians at Purl’s Sheet Metal & Air Conditioning today for all of your AC repairs and maintenance service. Clean and replace your air filter. The air filter is designed to prevent the accumulation of dust, dirt, and other debris on sensitive system components. That is its sole purpose, although there are some supplementary indoor air quality benefits as well. In order to do its job well, however, it needs to be kept clean. A dirty or clogged air filter can actually begin to work against your cool air instead of protecting it. Make sure you clean your filter regularly and replace it about once a month during the cooling season. Keep your outdoor unit free and clear of debris. Whatever type of air conditioning system you have, some of your components are located in the outdoors, and for that reason, they are subject to much different environmental conditions. Dirt, dust and debris inside the housing should be cleaned by a professional, but make sure that you keep the surrounding area clear of debris that can get in the way of the refrigerant cycle. Enroll in routine maintenance. There’s no substitute for pro maintenance. During these maintenance visits, your AC will be cleaned, tuned-up and thoroughly inspected to maximize cooling performance and efficiency. Call Purl’s Sheet Metal & Air Conditioning today for excellent air conditioning repair and maintenance services throughout the Fresno area. Are you suffering from inadequate cooling or stuffy air in your home? When was the last time you had your AC cleaned? Dirt and dust are the major causes of many air conditioning problems that can develop within your HVAC system, no matter what type it is. Professional installation should be followed up with routine maintenance if you want to make sure you get the most out of your AC for the years to come, but occasionally, such wear and tear takes a toll and repair needs become necessary. 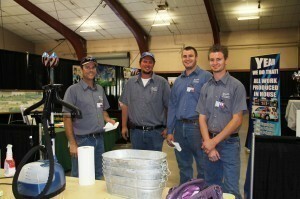 Make sure you hire a reputable Fresno air conditioning repair technician to take care of your repair needs. 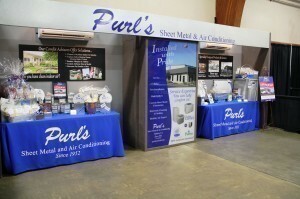 Call Purl’s Sheet Metal & Air Conditioning today. Dirty condenser coils. For most types of air conditioning systems, your condenser coils are located outdoors where the compressor resides. Because of their location, they are subject to all kinds of debris and when the coils become dirty, they can no longer effectively dissipate thermal energy into the outdoor air. Because they play such an essential role in keeping your home cool, your coils must be kept clean at all times. Frozen evaporator coils. The same goes for your evaporator coils. These indoor coils are also subject to dirt and dust accumulating on their surface. But the primary cause of frozen coils is also caused by debris accumulation. Your air filter is designed to protect the components of your AC, but when it becomes excessive dirty or clogged with debris itself, it can trap cold air inside the air handler, which can lead to frozen coils. By keeping your air filter clean at all times (check it at least once a month) during the cooling season. Like any other mechanical system, your AC will simply not work well when it is subject to dust, dirt, and other debris. 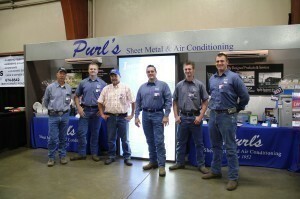 Call Purl’s Sheet Metal & Air Conditioning today for air conditioning repair service in Fresno, CA. We can handle any job, large or small. 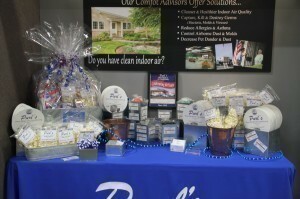 Posted in Air Conditioning, Community Involvement | Comments Off on 2013 Business Extravaganza! As a reminder, Purl’s Sheet Metal and Air Conditioning will be available for emergency service on the holiday. Please don’t hesitate to call if you are in need! Every year during the summer time, one of the most important holidays of the year emerges, the 4th of July. That means baseball games, hot dogs, barbecues, family and friends, and of course fireworks. 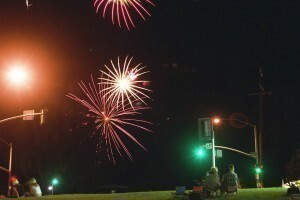 This year, Camp Fire Heart of CA will be having a Fireworks Booth, located in the 47th Place Shopping Center, in the Southeast corner of Howard Road and Schnoor Avenue. All of the proceeds with benefit Camp Fire Heart of CA. Fireworks are available now through the 4th. Camp Fire Heart of CA is a non-profit youth organization dedicated to providing a strong foundation for kids in the Madera and Central California areas. Camp Fire has been a constant and well-loved tradition in Madera for more than 95 Years. Camp Fire will also be collecting worn US Flags so feel free to bring worn, torn, and faded flags to the Booth. The flags will be retired in a proper and respectful service. The Fresno and Madera area HVAC technicians at Purl’s Sheet Metal & Air Conditioning wish you and your family a fun and festive 4th of July.